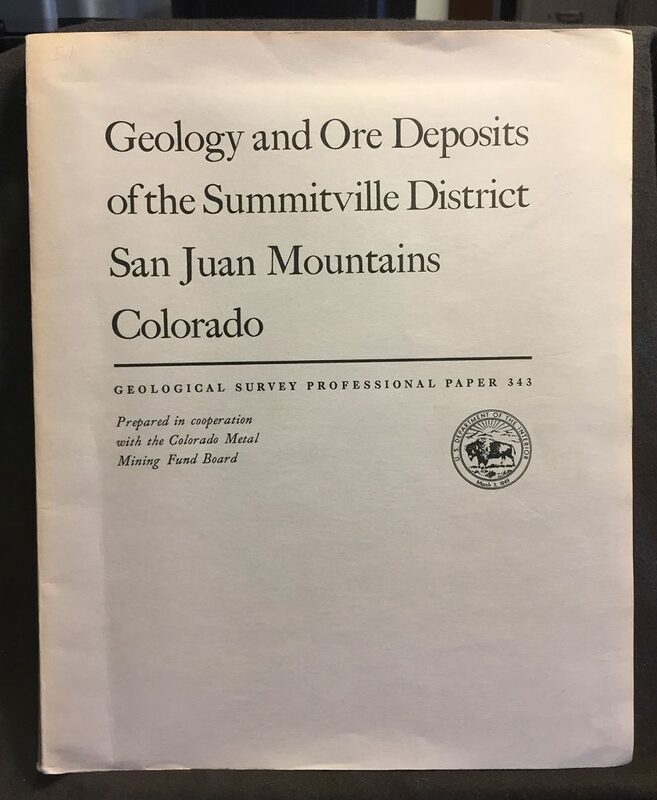 Geology and Ore Deposits of the Summitville District, San Juan Mountains, Colorado. By Thomas A. Steven and James C. Ratte. Geological Survey Professional Paper No. 343. United States Government Printing Office, Washington, D.C., 1960. Chapman & Weiss emblem on back of stereoview photographs. A medical and scientific team with business sense. 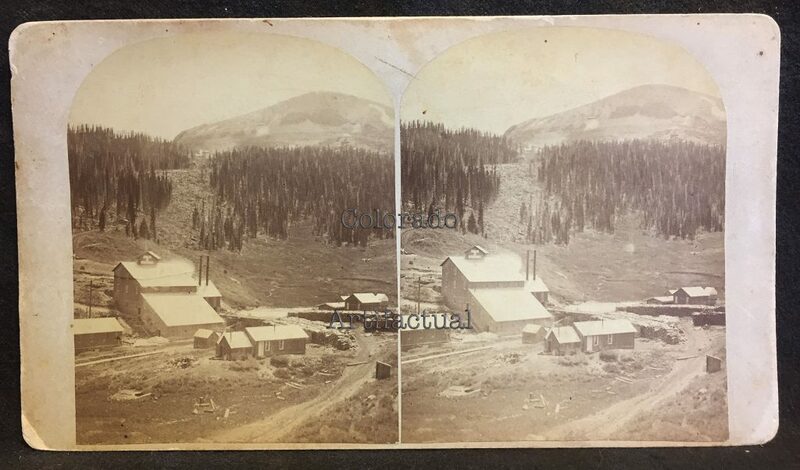 Chapman & Weiss stereoviews #87: Tunnel and Boarding House, The Iowa & Colorado Gold Mining & Milling Company, South Mountain, Summitville, Colorado. Circa 1885. 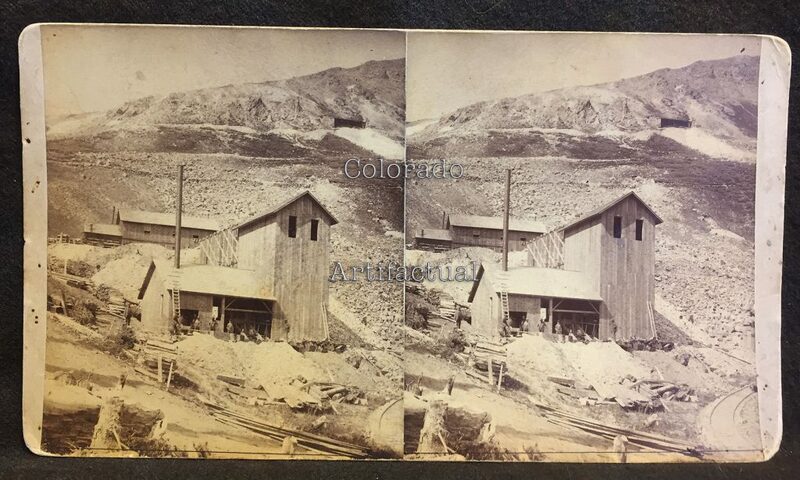 Chapman & Weiss stereoviews #75: Stamp Mill of The Iowa & Colorado Gold Mining & Milling Co., Summitville, Colorado. Circa 1885. 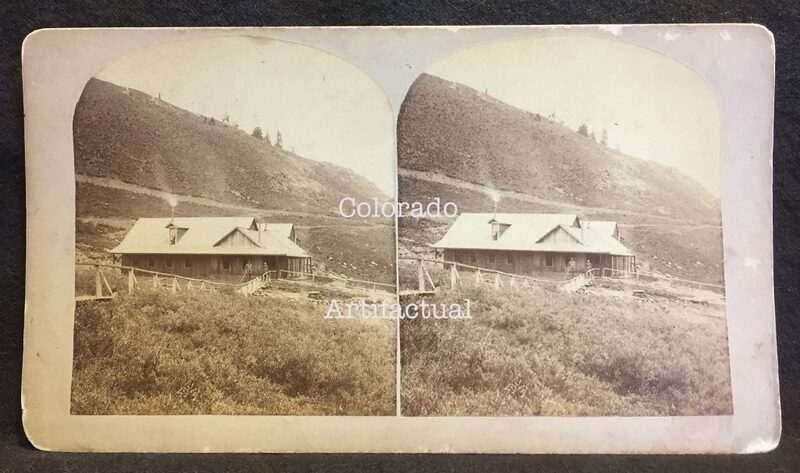 Chapman & Weiss stereoviews #101: Residence of Gov Bear, The Iowa & Colorado Gold Mining & Milling Co., Summitville, Colorado. Circa 1885. 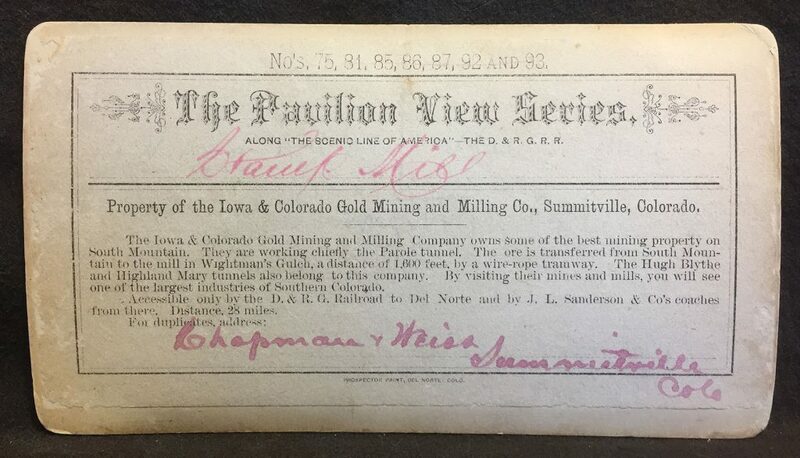 Chapman & Weiss stereoviews #80: South from the Iowa & Colorado Mine, Summitville, Colorado. Circa 1885. 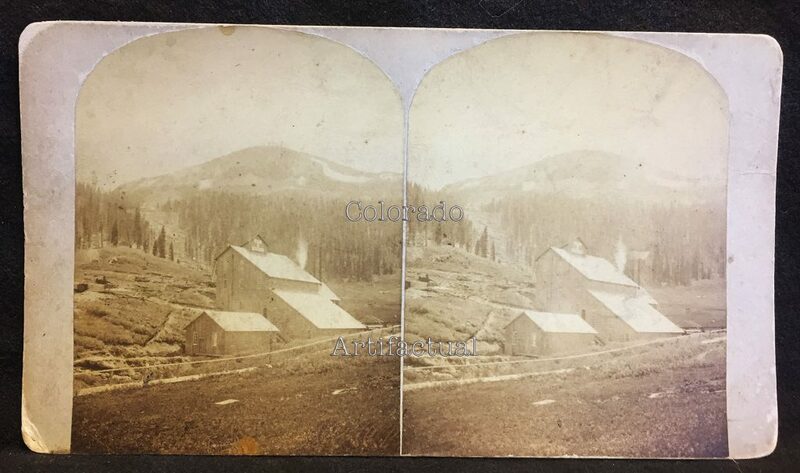 Chapman & Weiss stereoviews #85: Hugh Blythe Tunnel, mining property of The Iowa & Colorado Gold Mining & Milling Co., Summitville, Rio Grande County, Colorado, circa 1885. 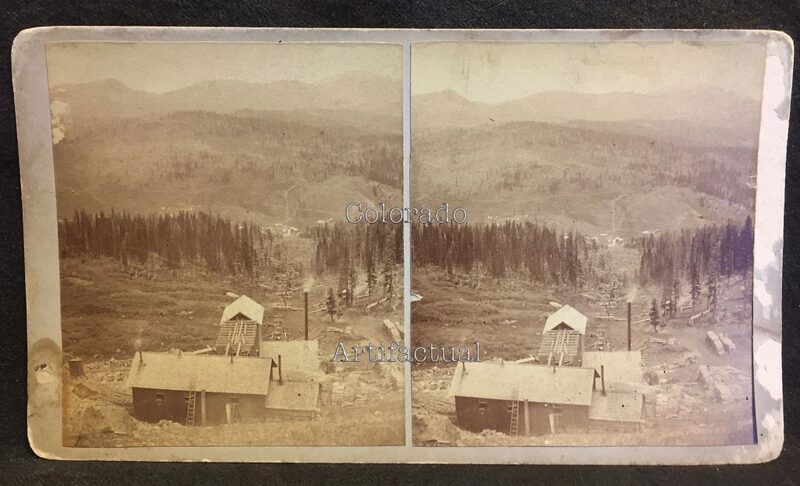 Chapman & Weiss stereoviews #86: Looking down tramway to mill, Iowa & Colorado Gold Mining & Milling Co. property, Summitville, Colorado, circa 1885. 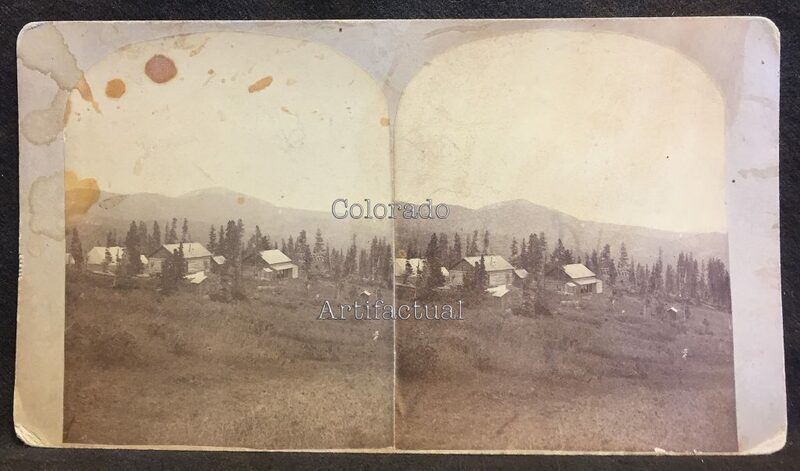 Chapman & Weiss stereoviews #84: At Timber Line, South Mountain, Golconda Boarding Houses, Summitville, Colorado, circa 1885. 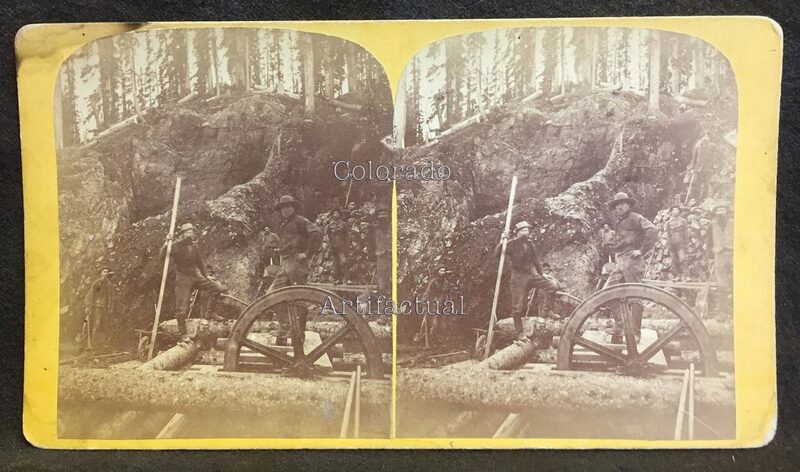 Chapman & Weiss stereoviews #85: Hugh Blythe Tunnel, Iowa & Colorado Gold Mining and Milling Co., Summitville, Colorado. Circa 1885. 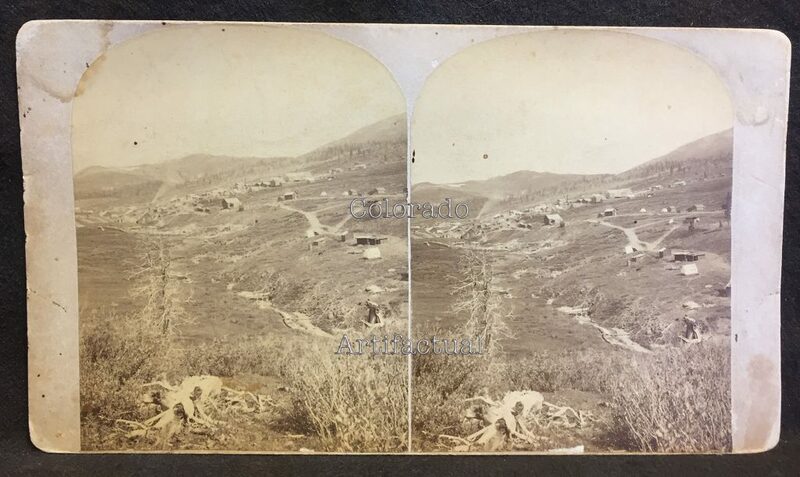 Chapman & Weiss stereoviews #88: Looking down off South Mountain, into Wightman’s Gulch, Summitville, Colorado. Circa 1885. 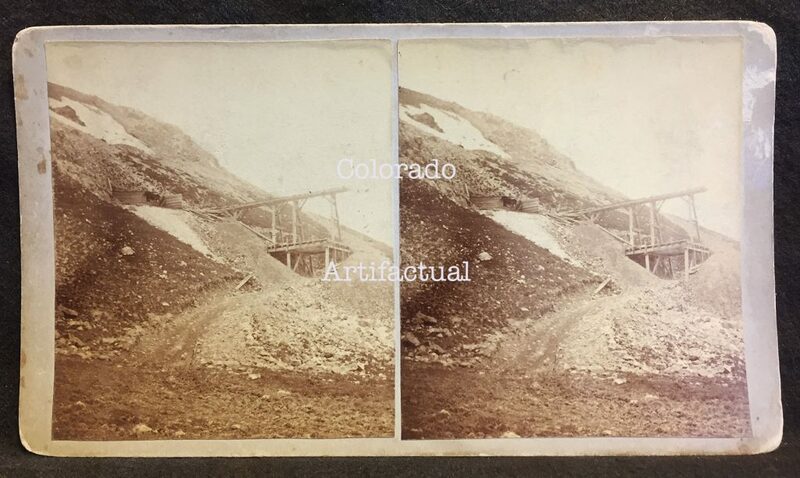 Chapman & Weiss stereoviews #92: Hill looking up tramway to mill, Iowa & Colorado Gold Mining and Milling Co., Summitville, Rio Grande County, Colorado. Circa 1885. 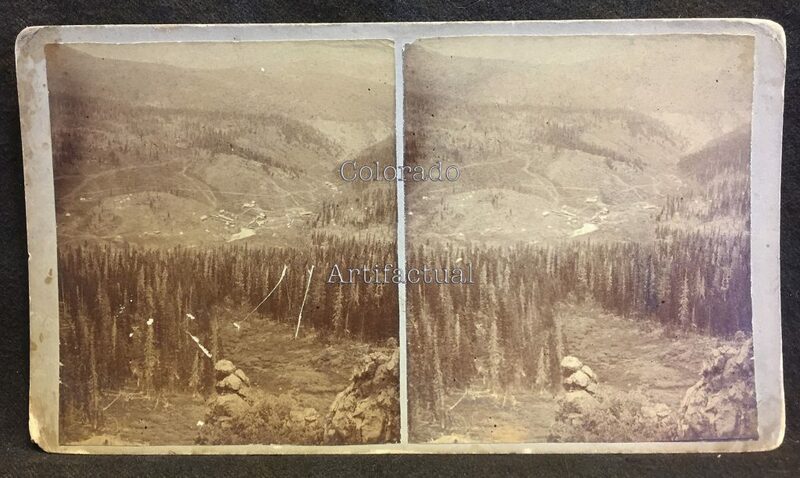 Chapman & Weiss stereoviews #15: Adobie Gulch, Grape Creek Canon, along the scenic line of America, The Denver & Rio Grande Railroad, Colorado. Circa 1885. Dr. N. H. Chapman and Dr. Louis Weiss were industrious business partners, indulging in various commercial disciplines in the towns of Del Norte and Summitville, Colorado in the early 1880s. operations in Summitville, where he was also the mining camp’s postmaster. Their intent was to cover as many “necessary” as feasible for recently established towns. Evidently scientific-minded, they pursued business lines dependent on knowledge and proven fact; a partnership uniquely suited for mining camp endeavors. 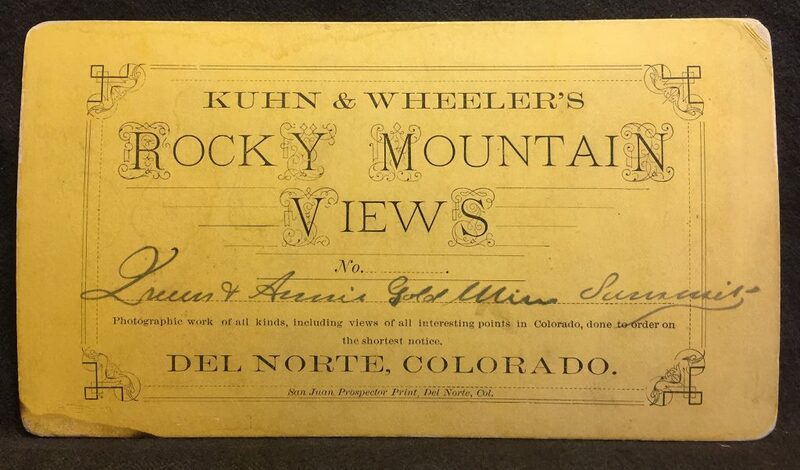 Kuhn & Wheeler’s Rocky Mountain Views (stereoviews): Queen & Annie Gold Mines, Summitville, Rio Grande County, Colorado. Circa 1879. Kuhn & Wheeler, Photographers, emblem. Del Norte, Colorado. 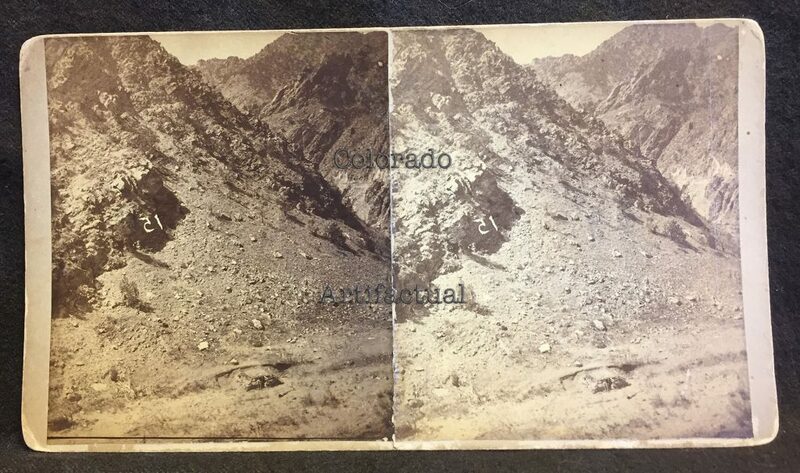 San Juan Prospector Print, Del Norte, Colorado. Circa 1879. 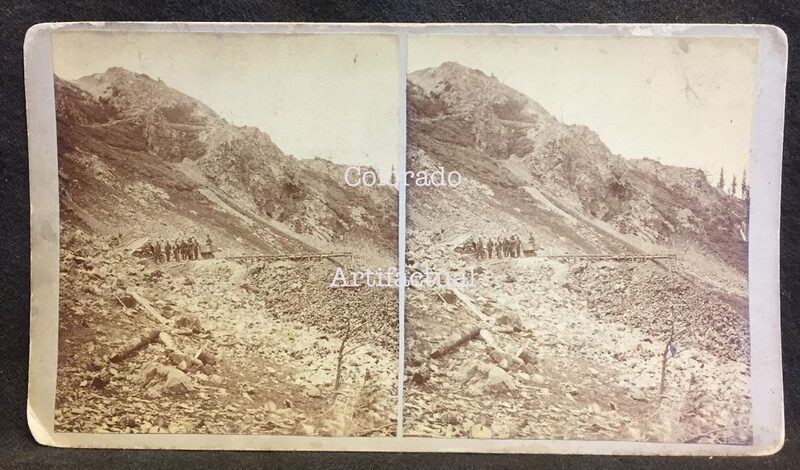 Collection includes stereoviews exhibited on this Summitville Gold Mining District, Colorado web page only.